Welcome to these Edmund Burke Quotes of the Day from my large collection of positive, romantic, and funny quotes. you if he sacrifices it to your opinion. for expedience, and by parts. What ever disunites man from God, also disunites man from man. of a mistaken and over-zealous piety. But the age of chivalry is gone. and the glory of Europe is extinguished forever. a passion which is the instinct of all great souls. the end and aim of weak ones. 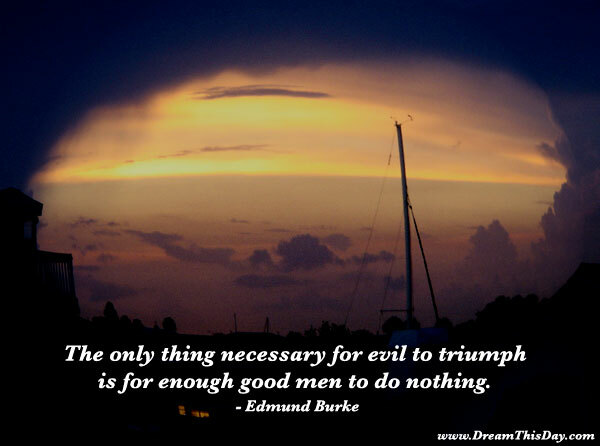 Thank you for visiting: Edmund Burke quote of the day.